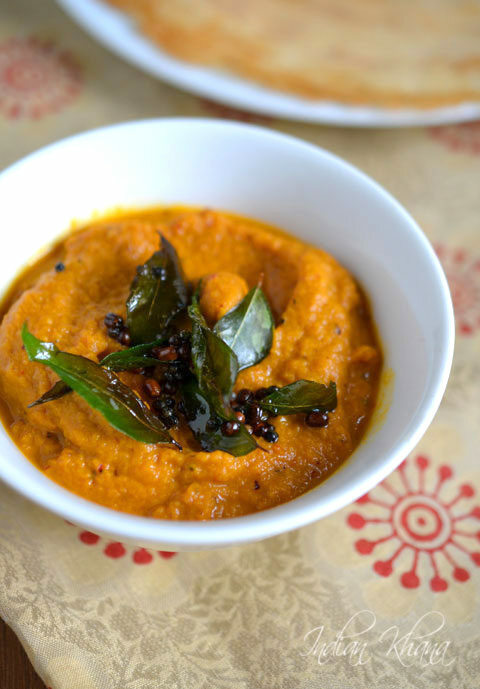 This carrot chutney has lovely color and hint of ginger makes it tasty. If you want you can add garlic too if you wish but normally I add ginger instead of garlic and the tempering is really not needed so you can skip it if you wish. 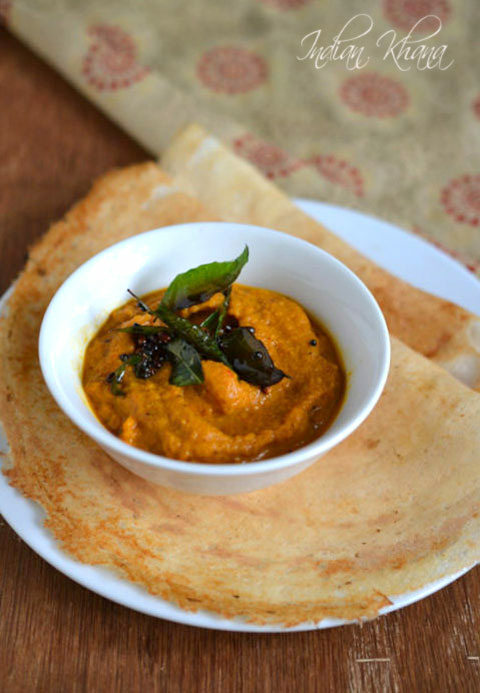 This chutney taste slightly sweet, spicy and tangy perfect blend and goes along idli, dosa very well. 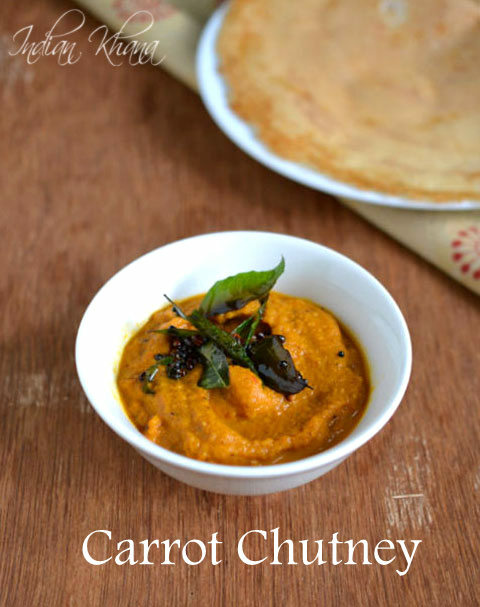 If you haven't tried carrot chutney yet then do give a try and you will like it too. 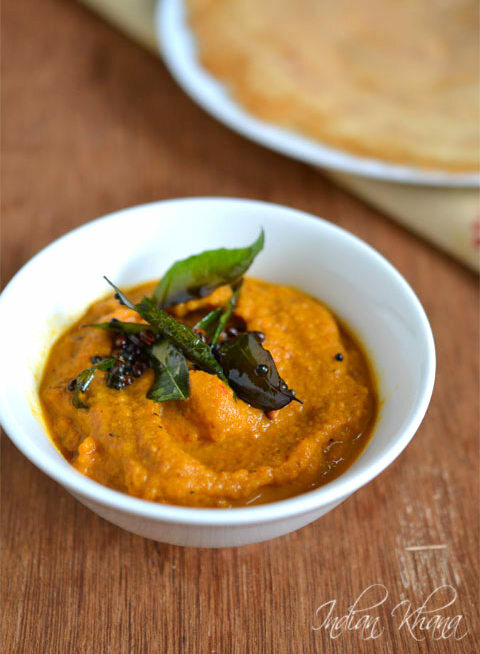 Easy, healthy no coconut Carrot Chutney for Idli, Dosa. Peel, wash and chop carrots. Once carrot changes color and gets cooked trasnfer to another plate and bowl and allow to cool. Meanwhile for tadka, in same pan or tadka pan heat oil add mustard seeds and allow to splutter, add urad dal, curry leave and saute until brown, pour over chutney. Grind carrot with salt, tamraind, hing and little water into smooth paste. Serve with dosa, idli, pongal or any tiffin items. 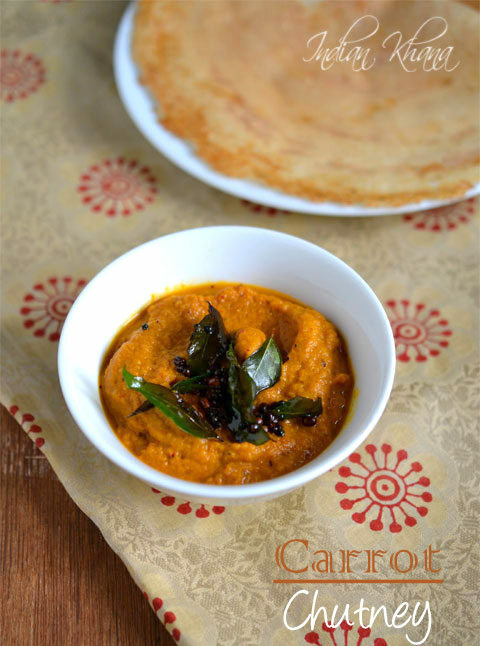 Healthy and delicious carrot chutney.